Calling all electric warriors, metal gurus, jeepsters and Telegram Sams! 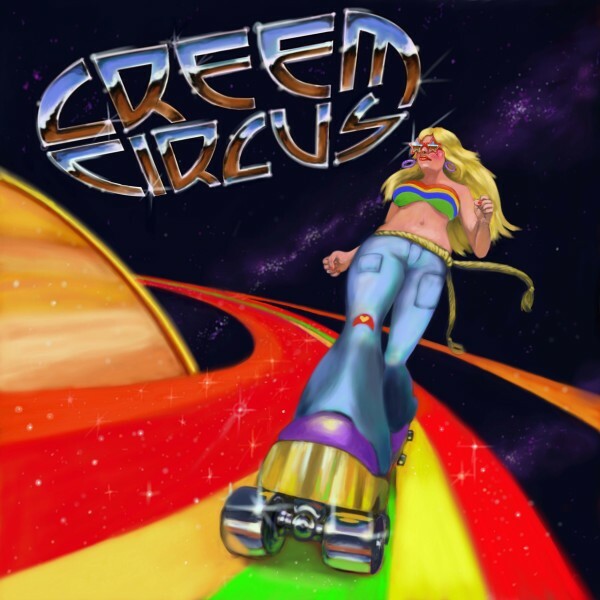 Creem Circus — from the people who brought you Wastoid, i.e. Chris DiPinto of DiPinto Guitars fame — celebrates the release of their debut 7-inch 10 PM tonight at Gunners Run in the Piazza. The show is free. Why should you go? This is their cover sleeve art. Enough said. Still not convinced? Here’s how Creem Circus describes that thing they do: Tandem lead, sparkle-faced riffs, chocolate covered choruses with glamtastic outfits! Word has it the kids are gonna kill a man and then they’re gonna have to break up the band, or at the very least crush his sweet hands, so catch ‘em while you can. This entry was posted on Friday, April 20th, 2012	at 3:14 pm	and is filed under News	. You can follow any responses to this entry through the RSS 2.0	feed. You can leave a response, or trackback from your own site.